Parking available street side or at Staples, Goldwater Brewery, and SIP. 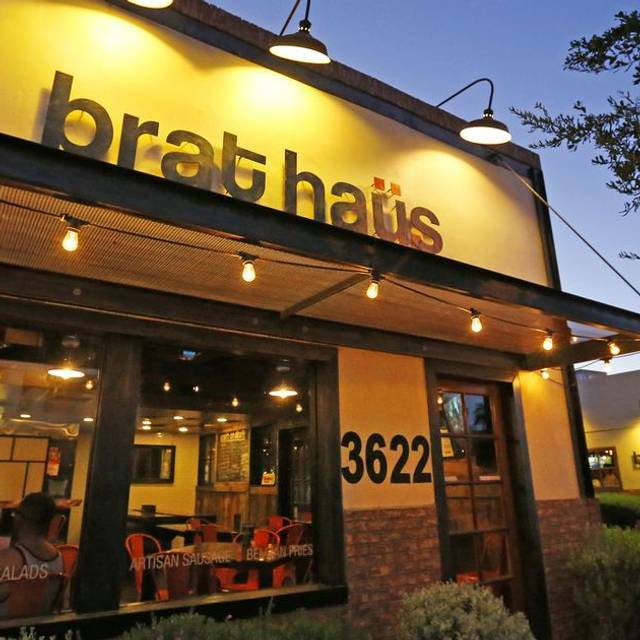 Brat Haus is the place to go in Scottsdale, AZ for those who want to enjoy high quality artisan sausage, as well as craft beer. The restaurant is proud to offer the widest selection of craft beer in Scottsdale with more than 28 options on tap. All the sausages at Brat Haus are served on a roll and come with your choice of toppings. You can choose from many different types of sausages including sweet, spicy, pepper jack and house-style. Other options at Brat Haus include the Belgian fries, cheese curds, fried pickles, steak chili and burgers. Desserts include apple strudel, drunken date cake and the Nutella shake. Great atmosphere. Great Food. Great Service. One of my favorite Scottsdale eateries. Patio area is gorgeous - would definitey recommend for a casual dinner or drinks event. 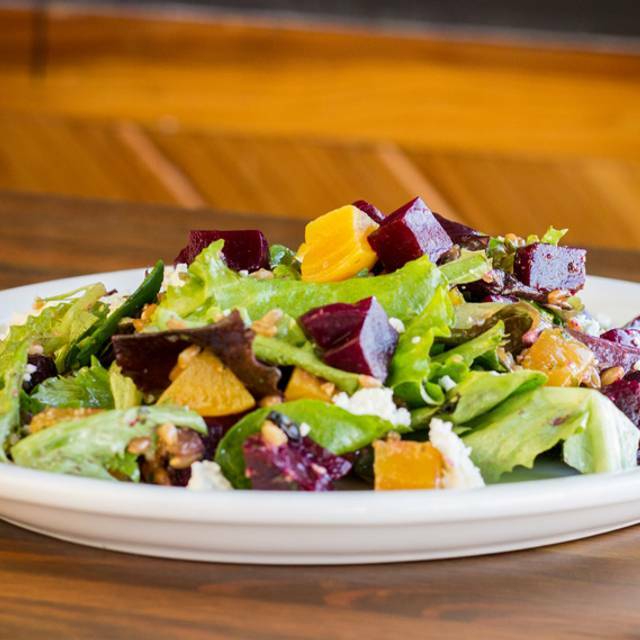 Beer selection is expansive and there are lots of shareable food options to choose from. Great food and fun atmosphere. Loved eating outside on the patio. Great patio and food. Staff was helpful and fun. Lots of on tap beer to choose From. 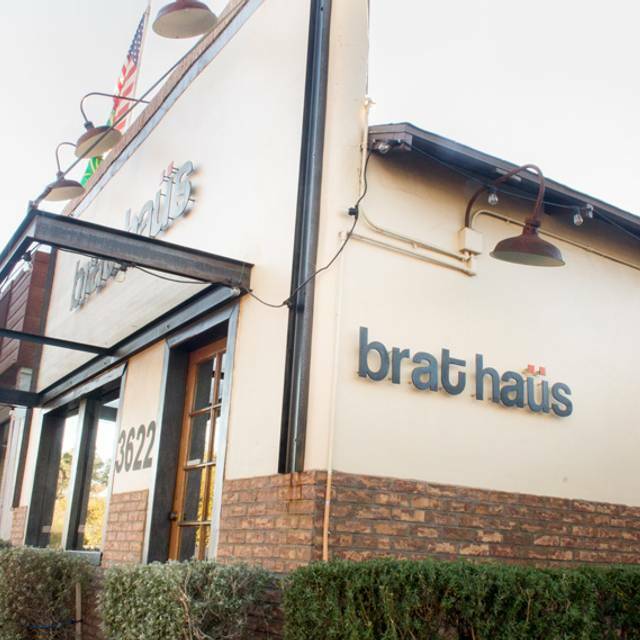 We visit the Brat Haus every year when we are in Scottsdale for Spring Training. We really enjoy the casual atmosphere, the food is tasty and of course the beer is great. We also find the service to be great, they have a friendly and helpful staff. We liked it so much that this year we went twice! Amazing low key place. Great time and great food. Maybe just one add to menu choice of chicken ? Our server Dominique was wonderful. A straight forward, German beer garden style, casual restaurant with great beer selection and good bratwurst & Belgium style fries. Great food and cute little place. Out of a lot of food because of spring training. So get there EARLY! Food was tasty bu some came out cold. Had hoped for some German wines on the menu. Husband’s entree never arrived at all. Service was inattentive and slow. Simple requests like having a patio heater moved toward us were met with a “no can do.” Not Scottsdale’s Best. Loved our Brats! The only thing that was strange was the wood tables/benches we were seated at. there is a big gap in the middle so putting food in the middle (appetizers and sides) to share was difficult. Great time, good good and service. Nice outdoor dining and patio. We would definitely go back ! The ambiance is more woodsy bar casual feel more fitting for Payson. Not thrilled to eat outside in winter, but the heaters kept you warm. Parking is definitely a big problem in a not well lit neighborhood. However, the food was fantastic. I had their house brat with sauerkraut and one of the terrific mustard sauces with a fake mojito (i was driving). My recommendation is to get in the grubbest warm clothes you own and uber over there. You'll like it with the proper expectations. This is a fun place to visit especially for families with young children who need room to play during the visit. Jenja is a good option. My reuben sandwich bread was blackened but I didn't send it back. My friend's brat was just right with peppers and sautéed onion topping. Great selection of mustards. The fries were good. Downsides: The wooden tables are full of splinters and it isn't possible to find a table far enough away from the speakers to have a quiet conversation. And don't even attempt to find a place to park. This is a destination for users of Uber or Lyft. 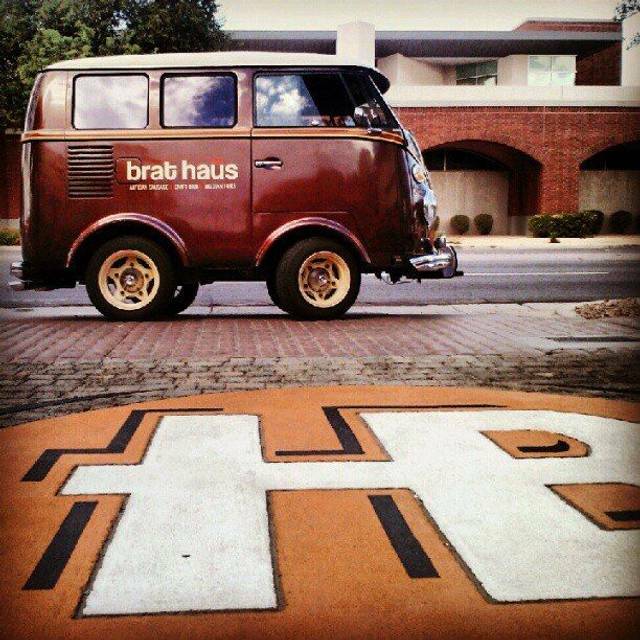 WOW...first time at Brat Haus and what a blast! Great music, great vibe, outstanding food. Great food, beer, nice outside seating and games. They needed to have another server outdoors on the patio. Our server was run ragged. Terrible experience...first of all, the name is a misnomer, they wouldn't know a brat if it smacked them in the face. They have meat in a general bratwurst design, but the similarity ends there. I ordered the sweet brat, which I assumed, based on the ingredients, to be an analog to sweet Italian sausage. It was flavored like something from a vegan supplier and the "brat" itself resembled the consistency of dried oatmeal that had been left out since breakfast. 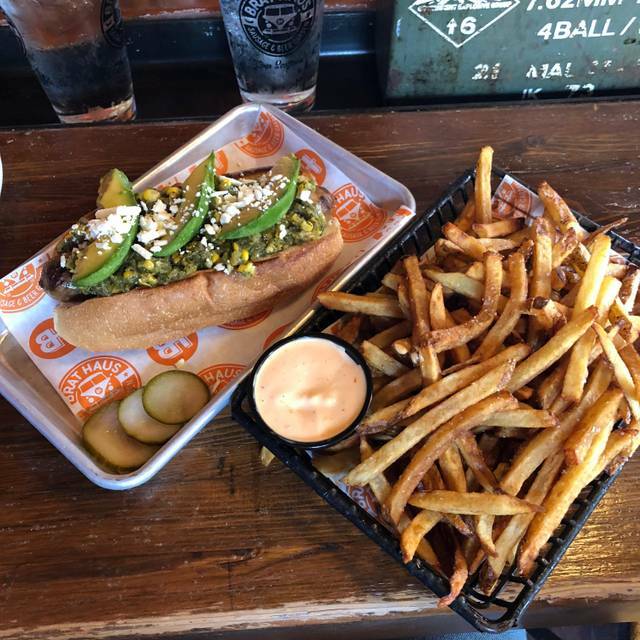 The bun was disgustingly hard and tasteless, however, the relish and pickled onions, along with the fries we ordered, were tasty, but those alone would hardly have me recommending this ersatz biergarten to anyone. If you're looking for a true Teutonic dining experience, look elsewhere...far, far away. The bun was stale and not good quality. The sausage tasted like it was coming off of a dirty grill and had bad flavor. What a fun Munich style beer garden! My boyfriend and I totally pigged! We ordered appetizers, beer, brats, and schnitzel. I would recommend this place for a group party! Plenty of space with games and music! Awesome food and great beer. You have to try the pretzel!! resturant menu misrepresented in open table. Items listed in open table menu not on menu at resturant. Nice place for groups for a fun time. Different seating options. Good brats, great beer, unfussy restaurant but kind of on the pricey side. You do get a lot for your money though. Very good food, good atmosphere, but slow service. The restaurant is fine but I would not recommend going during Spring Training if there is a game that day. We had to walk six blocks for parking. Nice place for lunch!! We met friends there for Spring Training. The beer and food was great!! Brats are absolutely fantastic. We had great service. However, the Italian Beef was very dry and tough texture was a downer. Great beer selection. It is a German place so I highly recommend staying within the German selections. Great food and we liked the outdoor seating. The fireplace was cool and they had games too. The bar is attached so that was awesome too. Overall, a great hangout! 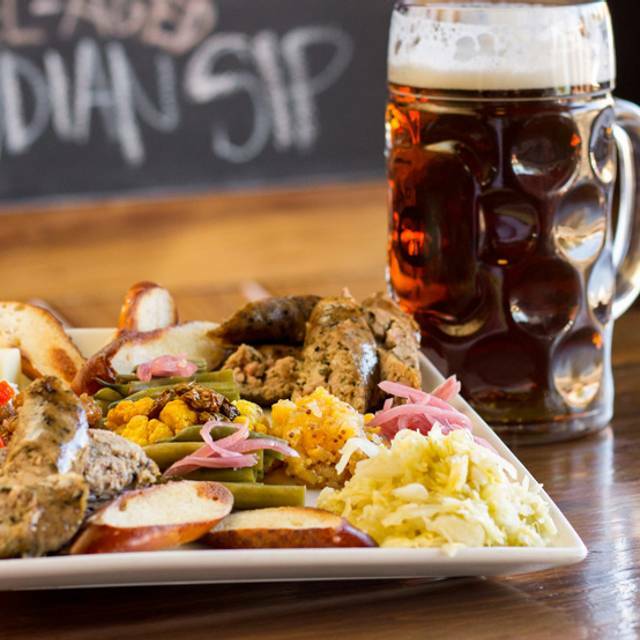 Fresh made sausages, tasty pretzels and great craft beer! Brat Haus is wunderbar! Food selection was OK. Service was extremely slow - I guess since I was dining alone. It’s ok - pleasing enough for the college crowd. Would not go back though with so many other options in area. It was New Years and our anniversary! I loved this place! Good for kids and fun atmosphere! I will be back and I hope Morgan is my server she's awesome! Good food and great pretzels! Thanks BH! 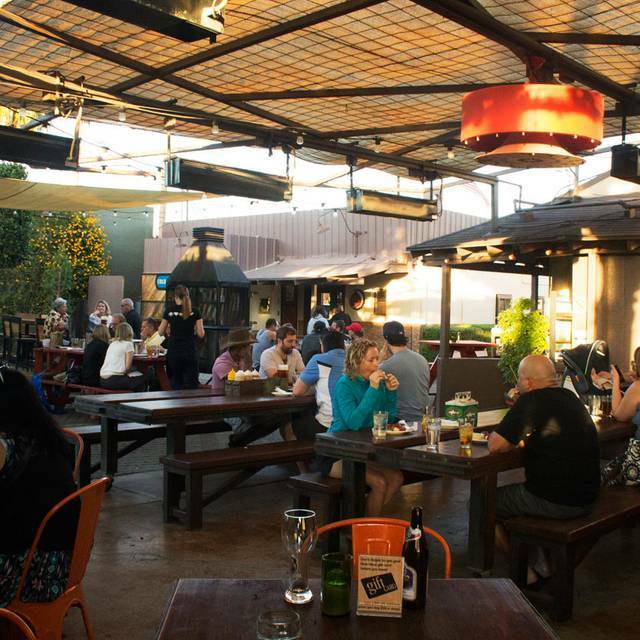 One of the more genuine, tasty, and relaxing spots for great food and spirits in Scottsdale!! My schnitzel was as large as my face! Great beer selection and service. Its Oktoberfest every night here, but no oompahpah music. Great food in a wonderful atmosphere. Service was outstanding and everyone enjoyed themselves! Highly recommend if you are in the area, you won’t be disappointed. Make sure to get the giant pretzel. My expectations were high after seeing a clip on the news. Expectations weren’t met on the brats and it took a while for the food to come out. Overall, still a good experience. I would go back again with friends. Great outdoor dining place with friends.